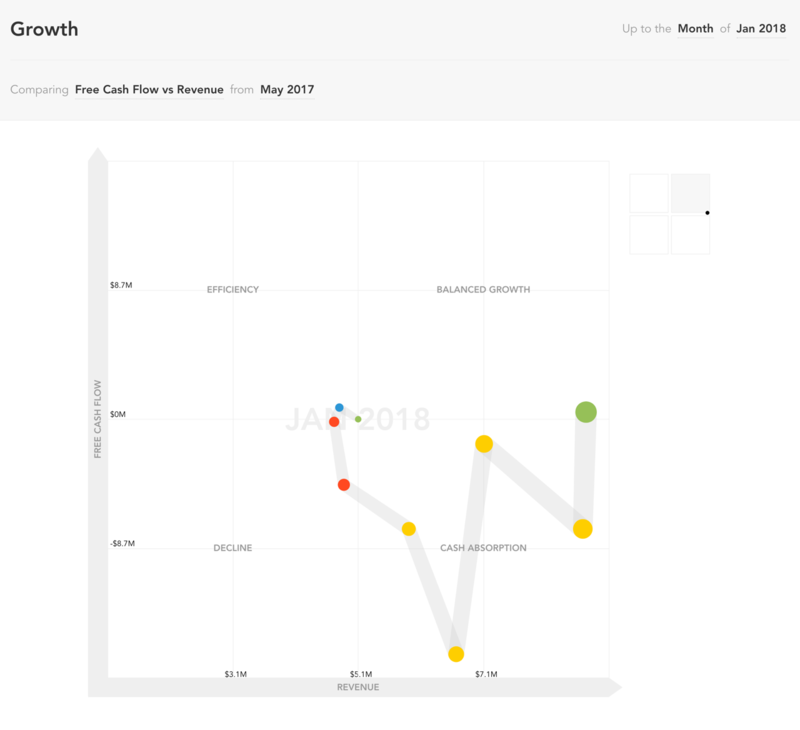 The Growth tool is designed to help you understand and assess a company's trajectory from a selected starting period to the current period. 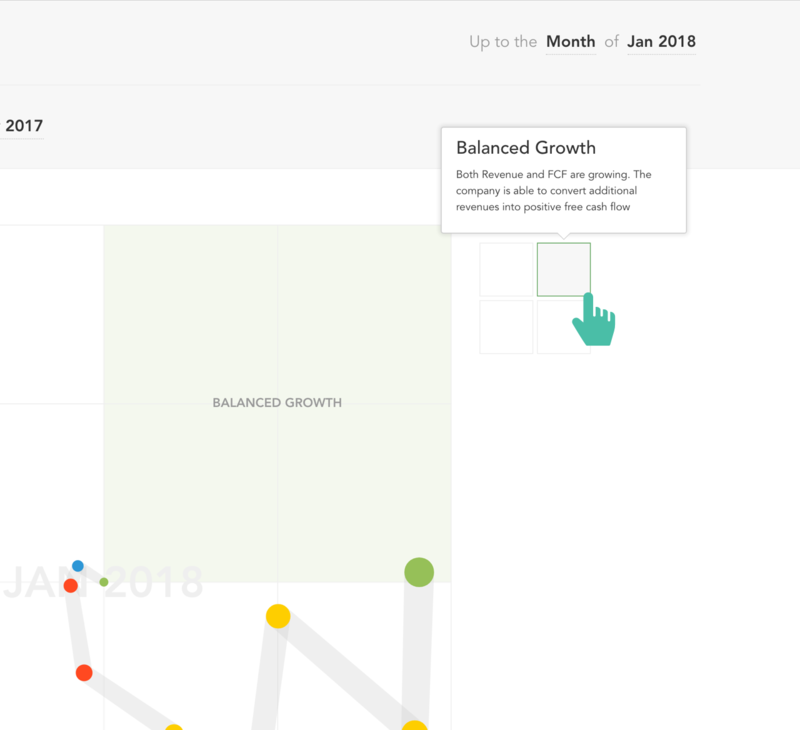 Monthly, quarterly and annual growth can be visualised in this tool. Our growth tool seeks to assess a combination of growth measures, as opposed to singular ratios or metrics. You can also choose the starting period for the growth analysis. The starting period defines the centre of the graphic, from which the quadrants are then defined. Size of the Dots: The size of the dot represents the recency of the period. The dot grows larger with time; the largest dot represents the most recent period under analysis. Hovering over each dot will reveal the period and key numbers behind the dot. Colour of the Dots: The colour of the dot represents the quadrant it is part of. If you hover over the mini-map, you will see a description of each of the four quadrants.